This guide will help you install SM Slideshow step by step. If you want to show this module on other positions, for example: center; top; left; right; bottom…. Please go to Unzip file url path in “app” folder: app\design\frontend\default\defaultAi?? and add following code to the end of your file url path \layout\sm\slideshow.xmlAi?? 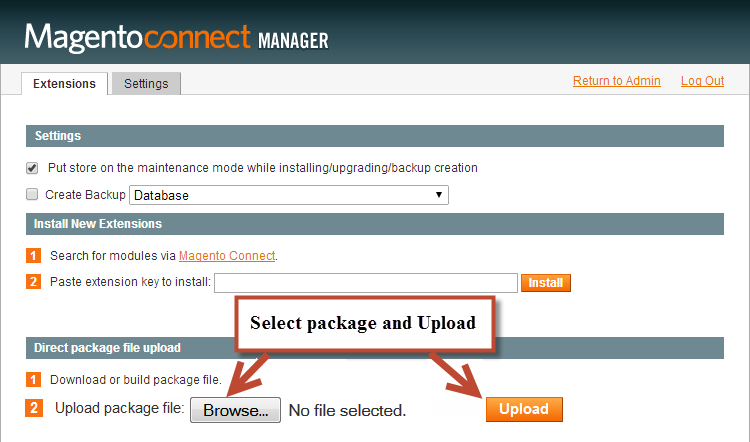 After installing, go to System -> Configuration and find SM Slideshow (in the left of column) to configure. Title of Slideshow – You can enter title of the module on here. 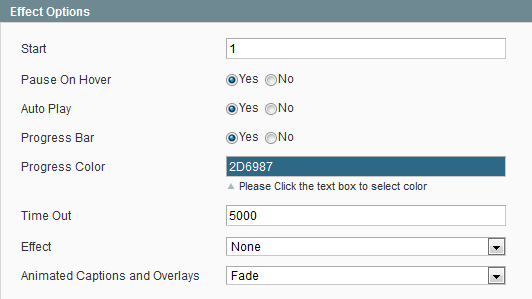 Select Layout – You can select layout of the module on here. We support 4 layout. Product Source- Allow to select product source: from “Catalog”, “Media” Or “Product IDs”. Select Category – Allow to select one or more category. 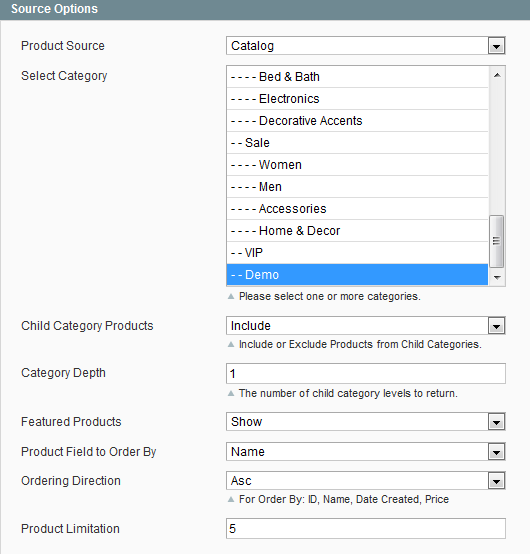 Child Category Products – Include or Exclude Products from Child Categories. 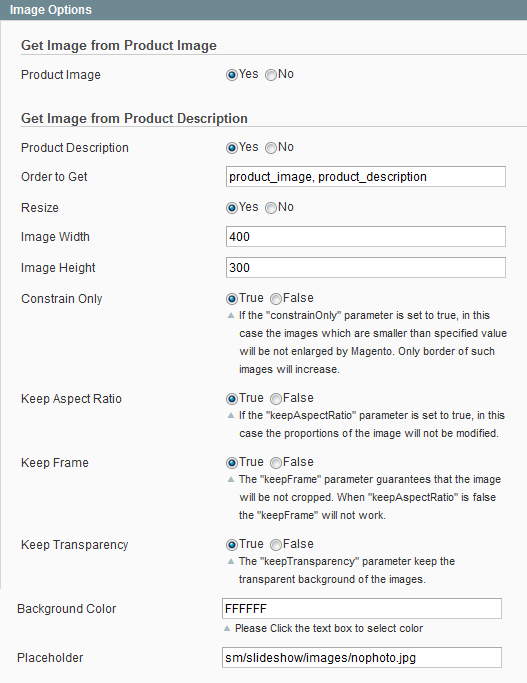 Display – Allow to show product title or Not. 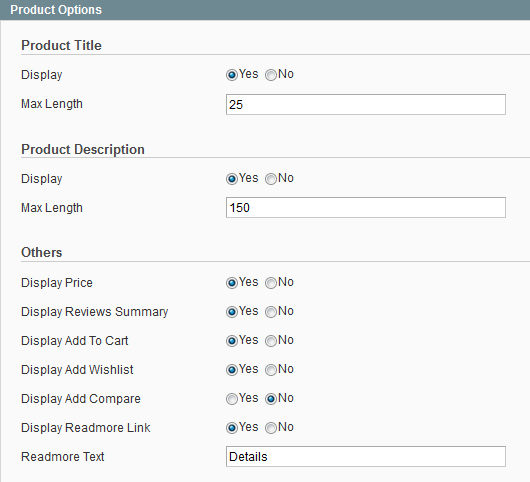 Maxlength – Allow to set the number of characters limitation for product title. Display reviews summary – Allow to show product reviews summary OR not. Display Add to carrt – Allow to show button Add to cart OR not. Display Add to wishlist -Allow to show button Add to wishlist OR not. Display Add to compare – Allow to show button Add to compare OR not. Start – Allow to set page that is displayed at firstAi?? when you run slideshow. Pause When Hover – Allow to stop effects when users hover. Auto Play -Ai?? Allow to Enable/Disable autoplay mode. Progress Bar – Allow to show progress bar in the top slideshow or Not. Progress Color – Allow to select color of progress bar. Time Out – The duration to change to next slide. Effect – Allow to select effect when change to next slide. Animated Captions and Overlays – Allow to select effect of animated captions when change to next slide.